How to decide between renting, leasing or buying equipment for your business? If your business needs equipment for a short period of time, to increase capacity during a busy period or because that one project needs specialty equipment, then renting the equipment is your best option. Renting gives you the flexibility to chose specific items for just the amount of time you need it. If you’re going to use equipment for a long period of time and on several projects in a row, however, you’ll probably want to either lease or buy the equipment. 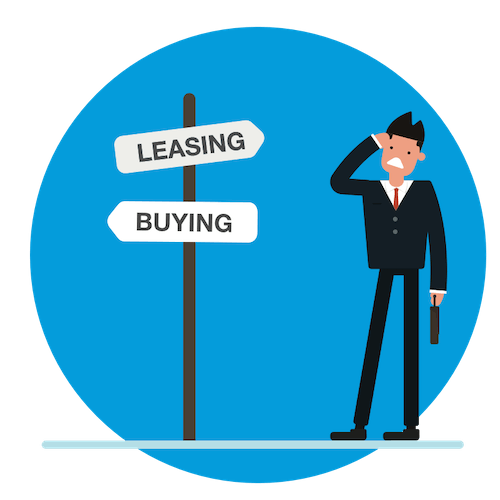 In this article, we’ll be discussing the advantages and disadvantages of leasing and purchasing equipment to help you make better buying versus leasing decisions. Leasing is a smart way to get the equipment you need to run your business. But for how long are you planning on leasing that equipment? Is there a point where it becomes financially more interesting to invest in new equipment then leasing it from another company? Even if you need to take on a loan to invest in new equipment, it might be worth it. If you don’t have the necessary capital to invest, don’t know how long you’ll need the equipment for or need to be able to switch from one item to another in a short period of time, leasing is definitely your best option. Leasing gives you freedom and flexibility, asks for less initial expense and you’ll be able to upgrade to better and newer equipment whenever you need to. Less initial expenses: The most interesting part of leasing equipment is the immediate financial side of things. The upfront costs are very low. There usually is no down payment to rent equipment so can get the tools you need without affecting your cash flow. Tax deduction. In terms of tax deduction, leasing is definitely the better option because you can deduct the entire amount as a business expense on your tax return right away. As opposed to depreciation when buying. Lower maintenance costs. If you’re leasing equipment, maintenance costs are usually included in the price or, if the leasing company charges extra for maintenance, it will be a fixed fee. So you’ll at least know what to expect. Plus, if the equipment just isn’t working the way you’d expect it to be, it’s the leasing company’s responsibility to fix it. Always up-to-date. In addition to financial advantages, the biggest pro of leasing equipment is probably the fact that you can easily upgrade to the latest model without having to worry about the depreciation of your investment. The freedom you get from leasing equipment comes at a cost: if you’re leasing for a longer period, you will be spending more money than if you had bought the equipment yourself. Plus, at the end of your contract, the equipment you have been using and paying for isn’t yours to keep. You don’t own the equipment. At the end of the lease, you will have to give back the equipment, won’t have equity or be able to sell it. This is probably the biggest disadvantage of a leasing contract as opposed to purchasing your equipment. Higher cost in the long run. Leasing equipment for a longer period of time is definitely more expensive than buying. Leasing a camera worth $5,000 for a period of 3 years with payments of $200 per month would result in a total of $7200, which is $2200 or 44% above the price of purchasing the equipment yourself. Fixed lease duration. Although we mentioned the flexibility of leasing as an advantage earlier, leasing contracts are not that flexible. You’re usually bound to a fixed lease duration and will have to pay for the entire term. In some cases you might be able to cancel the contract, but will be charged early termination fees. Less choice. When it comes to choosing equipment, you will be limited to the options your leasing company offers and might have to work with a brand or model you are less familiar with. Buying your own equipment is definitely appealing in terms of total costs, tax benefits and the fact that once you’ve paid for it, the equipment is yours. Lower overall cost. If you’re looking to spend less on equipment in the long run, buying it is definitely your best option. Tax benefits. Depending on the equipment you purchase and the country you are operating from, there are some tax incentives for buying equipment. For the US, tax benefits for equipment purchase are outlined in the 179 section of the tax code. Depreciation deduction. 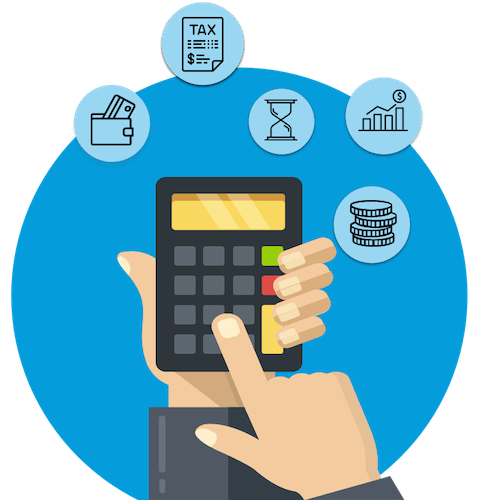 For fixed assets – meaning assets that help your business earn income – you’ll be able to recover the cost of buying through depreciation deduction. Ownership. Next to the financial and tax advantages, the biggest advantage of buying equipment is definitely the fact that you own it. No need to turn the equipment back in after having paid for months – even if you’ve taken out a loan to finance it – ; the equipment is yours to keep. This means you can resell it if you need to buy newer equipment. If your business owns equipment that is not used all the time, one way to recover the cost of purchase could be to lease the items to other companies. More choice. If your buying your own equipment, you’ll be able to decide exactly which brand and model you get. No need to adapt to whatever the leasing company has available. The large initial costs will, however, have a significant impact on your cash flow. That’s why buying equipment isn’t the best option for every business. You’ll also have to take into account the additional costs for maintenance, repairs and replacement of obsolete or broken assets. Large initial costs. Buying equipment means you will need to pay the total amount upfront, which could affect your cash flow. If you’re taking out a loan to buy your equipment, you’ll be required to make a down payment in most cases. Equipment might become obsolete. Buying equipment gives you less flexibility than leasing it: you’ll want to make your investment worthwhile by using your equipment as long as you possibly can, at the risk of getting stuck with getting stuck with old equipment. This is especially true if you’re using technology: upgrading software won’t always be an option, so you might need to reinvest in newer, more modern items. Maintenance costs. Needless to say, if the equipment is yours, maintenance and repair costs are on you. You can make a rough estimate of what it will cost to do regular, planned maintenance to your equipment but unexpected repairs or even replacements can get surprisingly expensive. So, what’s it going to be: buying or leasing? Deciding whether to lease or buy business equipment is a matter of weighing the pros and cons. Determine which option is most cost-effective for each asset you’re considering by calculating its net cost, taking into account the tax benefits and the resale value. If you’re thinking about buying your equipment, don’t forget it might become obsolete, especially if it involves state-of-the-art technology or software. If you’re leaning towards leasing, make sure you’ll actually need each piece of equipment for the entire leasing period – or at least a large part of it.